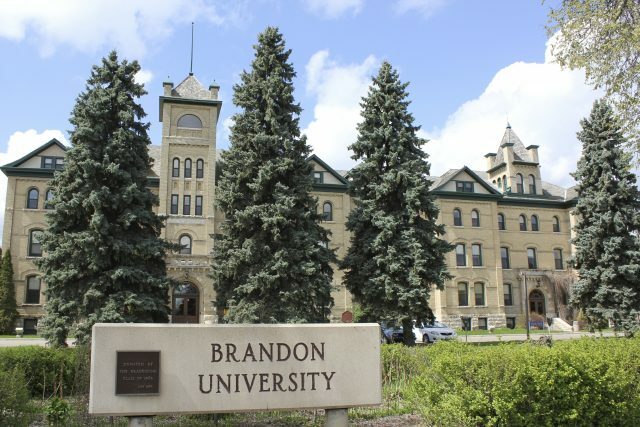 Brandon is ranked as one of 19 “primarily undergraduate” universities by Maclean's magazine. BU ranked No. 1 in the country, with 12 students per faculty member. This is the best score of any institution in all categories. BU ranked No. 7 in the country, as well as No. 5 in in field-weighted impact. Brandon University remains the best university in Canada for students who want to get to know their professors, according to Maclean’s magazine, with an outstanding 12 students per faculty member, and impressively low class sizes, especially in third- and fourth-year classes. Brandon University’s excellent student-faculty ratio and small class sizes, combined with strong showings by faculty researchers and BU’s robust funding for student supports, have helped improve the university’s placement in the annual rankings of Canadian universities, which were released today. Overall, BU has moved up one spot and now sits at 16th place in the primarily undergraduate category. In several measures of research, BU performed very well among its primarily undergraduate counterparts, sitting at 6th nationally for social sciences and humanities research grants as well as 7th nationally for citations of scholarly work. This year’s Maclean’s rankings also singled out Brandon University’s support for its library and for student services as among the best in Canada. While BU’s commitment to student services was ranked highly by Maclean’s, responses to their student satisfaction surveys show there is still room for improvement. In other areas, such as the number of students admitted with grades less than 70%, a low Maclean’s rankings indicate a difference of philosophy. High first-year enrolment may also affect BU’s ranking. Because there is no way to track student migration between institutions, local students who choose to stay close to home for the first few years of their education before completing their degree elsewhere count against BU’s retention and graduation rates. With ongoing sustainable growth in enrolment, an ambitious downtown development initiative, and a new Campus Master Plan to guide the next few decades, Brandon University is poised for continued success.